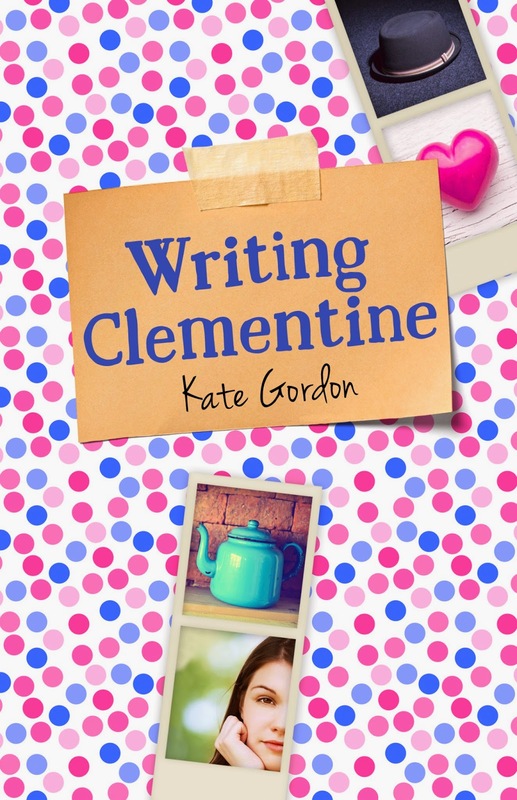 So thrilled to be interviewing Kate Gordon for the blog tour for her newly released novel Writing Clementine! 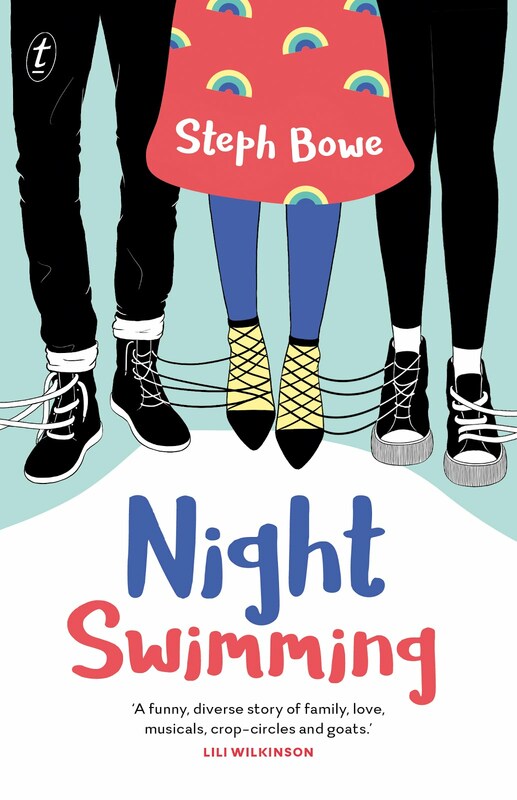 It's a beautifully endearing and very charming contemporary YA novel about Clementine, trying to figure out who she is and negotiate life at school and with her family (My review is coming shortly; I'm still trying to decide which synonyms of splendid to use). You've written both paranormal fiction (Thyla and Vulpi) and contemporary YA fiction (Three Things About Daisy Blue and now Writing Clementine) - are there any significant differences in your process when writing in these two different genres? Do you prefer one or the other? Kate: I think I feel more comfortable writing contemporary YA – not that it’s not as hard, and not that I don’t love writing spec fic, it just feels as if it comes more naturally. And I guess that informs my process, too. I tend to write much more stream-of-consciously (is that even a word? ), when I’m writing realistic YA. It’s much more structured when I write spec fic, and I actually do some planning (NOT like me). Clementine gets involved in a Steampunk Society in Writing Clementine, which is just terribly cool - have you considered writing a steampunk novel? Kate: Ah, egad, no. And not because I don’t adore steampunk. 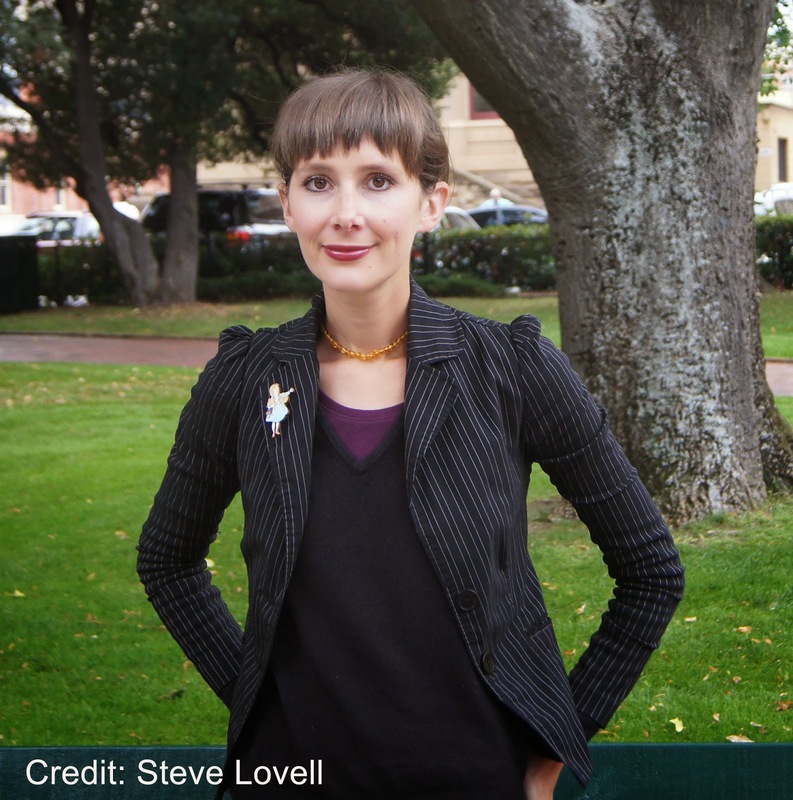 It’s one of my favourite genres – that’s why I sneakily worked it into Clementine. I just feel woefully inadequate as a writer when I even consider writing it. It’s the same with high fantasy. I love it, but then I read Tansy Rayner Roberts and I think, nope, I could never do that. I read Michael Pryor or Gail Carriger or Ben Chandler and I just feel like I’ll never have a millionth of their talent. I’ll leave it to the masters. Doesn’t stop me spending hours Googling pretty steampunky things, though! You live in Tasmania and often write novels set there: What do you enjoy about writing Tasmanian settings? Do you think they offer something different to stories set in mainland Australia? Kate: I do. I’m ferociously proud of my island, and I think it makes the best setting for stories, purely because of its uniqueness. There’s nowhere on Earth quite like Tassie, and it’s largely unknown in much of the world. I’ll never forget being on a bus between Launceston and Burnie when I was a teenager and hearing an American say that they were surprised there were people in Tasmania – they thought it was uninhabited. I write about Tasmania so people can learn about it and love it like I do, and because I want teenagers here to see their own world reflected in art. There was almost no literature set here when I was young. I want young people of Tasmania to know that the place they’re growing up in is awesome. In Writing Clementine, Chelsea-Grace and Cleo are the most hilariously horrific friends (and Sam from Grade 10 is the worst), but Clementine tolerates them - do you find it easy to channel the feelings and motivations of being fourteen? Do you use real-life experiences? Kate: I do. And it’s funny that you say that Chelsea-Grace and Cleo are horrific. They’re two of my favourite ever characters. Chelsea-Grace is, I think, my favourite character from all my books. I don’t think they’re horrific friends. I think they’re just working out how to be, same as the rest of us. Sam, on the other hand, is a total wally. 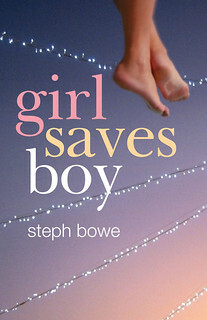 I loved writing him because I hated him so much, and also because it allowed me to take revenge on so many boys from high school who were exactly like him! Some of his lines are verbatim from things boys said to me and my friends in school. I know I won’t get in trouble, though. I doubt those boys read (*cue evil laugh*). What inspired you to become a novelist? Any particular books, teachers, experiences? Kate: Two words: Steven Herrick. I’d always loved writing and creating stories – I made up stories long before I had the ability to write them down. But when Steven Herrick visited my school, it was the first time I’d ever met a real-life author. And he seemed so normal. He was very encouraging to me and made me believe I could do this thing. Also, I had a phenomenal English teacher, Mr Wilson, in high school. He challenged me and never allowed me to accept second-best for myself. He instilled a work ethic in me that I’ve never lost. Also, I worked for a few years in a high school. 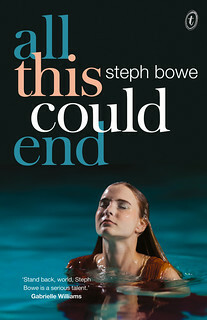 I’d never considered writing for teenagers before that, but it made me want to write books that they would want to read! You're a really prolific novelist - practically a book a year - and I'm wondering: Are you super disciplined? Do you have a writing routine? Do you advice for other writers who would like to be similarly productive (i.e. me)? Kate: I have a two-year-old who only sometimes naps during the day, and often not for very long. I have to be disciplined, otherwise nothing happens. I also had a full-time job before becoming a mum. I forced myself to get up at 5am each day to write. Now, I write 1500 words a day, no matter what, no excuses. If Tiger doesn’t nap, I write when she goes to bed. If she goes to bed late, I write first thing in the morning. It happens, one way or another. And they might not be good words – they probably aren’t. but they’re words and once they’re there I can make them better later. A story doesn’t exist if it’s just inside my head. At least once it’s there, on the page, it exists. Imagining you could travel back in time to visit your younger self without tearing the fabric of space-time and imploding the universe, what advice would you give your sixteen-year-old self about writing and life? Kate: I’d tell her that she’s doing just fine. I’d tell her that her best is good enough, and not to strive to be perfect all the time. I’d tell her that life is for living, to laugh often, and to never stop believing in fairies. Here's Writing Clementine on the publisher's website. 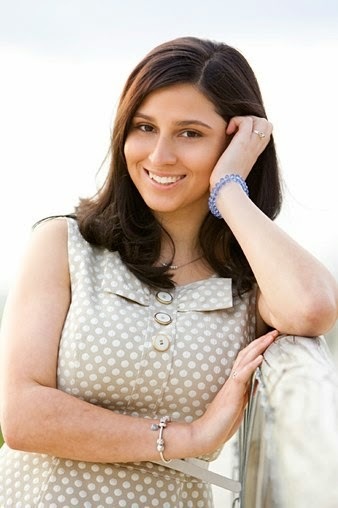 Kate's lovely website and blog. Some great guest posts by Kate here on my blog: on inner ages, being raised by books and her editing secrets!